Fairness for our kids. Now. 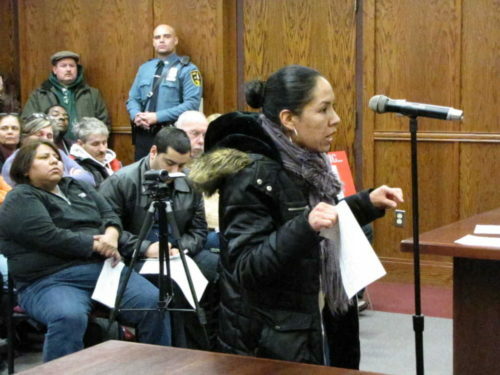 Fair Schools Red Bank is an organization of concerned parents and taxpayers in Red Bank, N.J.
We demand the end of an education system in Red Bank that has created the most segregated school system in New Jersey. And we demand that the current system of funding public education in Red Bank be discarded because it discriminates against children based on the color of their skin. And unless the New Jersey Department of Education is able to remedy this shameful situation, we demand that the department close the Red Bank Charter School and return the town of fewer than 12,000 residents to a unified school district. 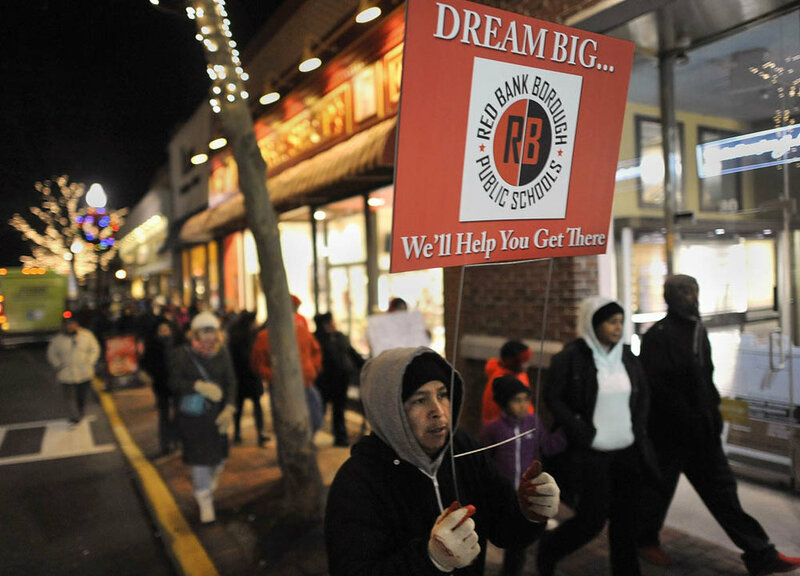 Red Bank is the most segregated school district in New Jersey. The Red Bank Charter School is disproportionately white, with exceptional demographic disparity compared to the host district schools. The Red Bank Charter School has far fewer pupils who are Hispanic, LEP or receive free and reduced lunch. These qualities exacerbate the funding disparities experienced by the Red Bank Borough Schools. The Red Bank Borough Public School District is the 13th most underfunded school district in the state of New Jersey. It’s also the most underfunded school district that has to support a charter school. Each year, the Red Bank Borough Public Schools are forced to send half of its $3 million in state aid to the Red Bank Charter School. Also each year, the state of New Jersey sends an additional $1 million directly to the charter school to hold it harmless from state cuts. The Red Bank Borough Public Schools see no additional funding of this sort. Despite the demographic and funding disparity, Red Bank Borough Public School students are overcoming significant hurdles as they progress through grades. Red Bank Middle School eighth graders achieved 2% higher average PARCC math scores (RBMS 727 vs RBCS 712) and 1% higher average PARCC English Language Arts scores (RBMS 751 vs RBCS 744) than the students at Red Bank Charter School.